Flowy off the shoulder tops have been my go to lately. There is something so effortless about a pair of jeans and an off the shoulder top. It’s a perfect summer evening outfit! I wore this out for dinner with E. We went to Mexican food and this outfit was perfectly fitting! 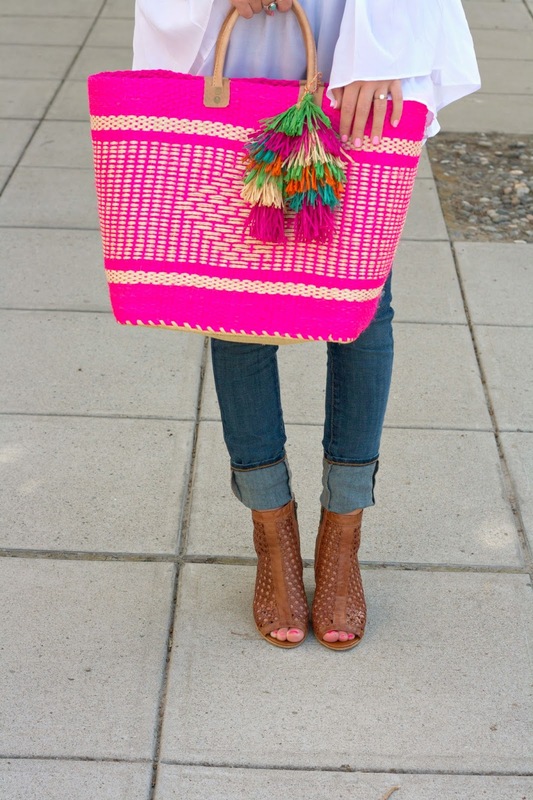 My Mar Y Sol tote was the ultimate addition to this outfit! 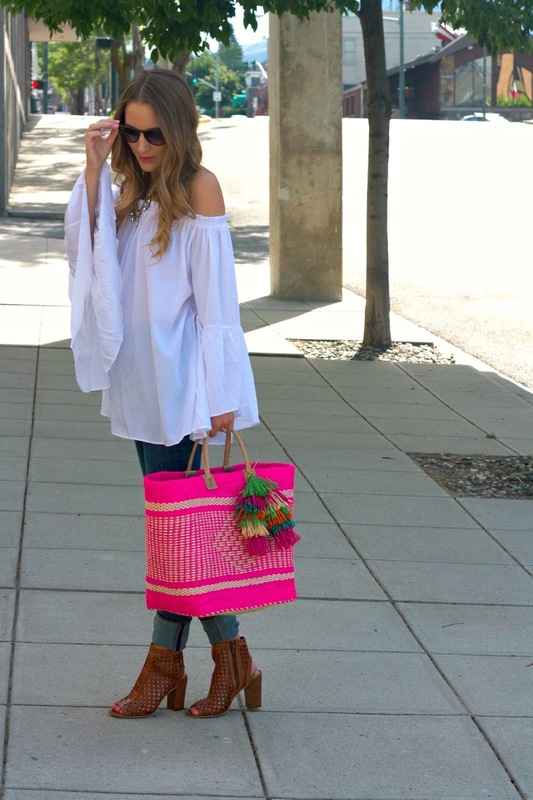 I can’t get over the cute tassels and how easily it transitions from a beach bag to a purse! This outfit is sure to be a multi-repeat offender this summer. 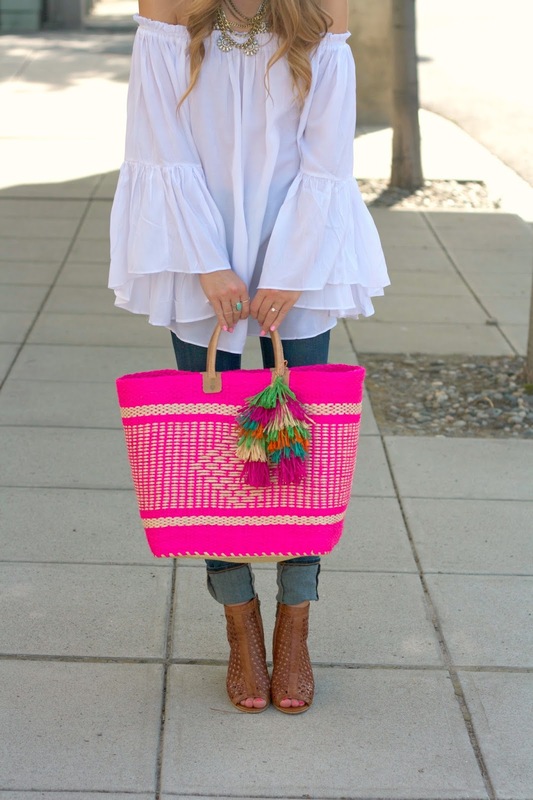 Re-creating this look is simple, as you can pair any off the shoulder top with an embroidered or woven bag! Shop some of my FAVORITE off the shoulder tops here!